~ working with me, it's all about you! Toronto, ON (August 2, 2016) – Intensification within Toronto proper has served to further bolster price appreciation as builders and end users compete for a limited number of single-detached properties listed for sale, according to a report released today by RE/MAX Hallmark Realty Ltd. The overall average price of a detached home in the 416 area code is up 16.4 per cent in the first six months of 2016 to $1,230,340, compared to $1,056,688 during the same period one year ago. RE/MAX Hallmark examined average price appreciation in four separate Toronto Real Estate Board districts (East, West, Central, York Region) and 44 communities for the first six months of 2016. Of the top five performing areas for detached homes in the 416 – in terms of price appreciation — are all located in the central core. 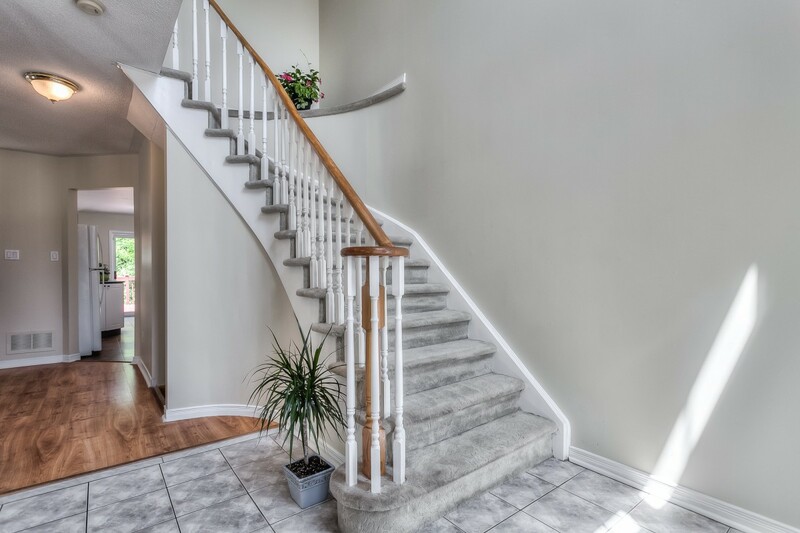 Banbury, Don Mills, Parkwoods, Donalda, and Victoria Village (C13) led the city with a 36.4 per cent increase in the average price of a detached home, with values rising from $1,335,548 to $1,821,777. 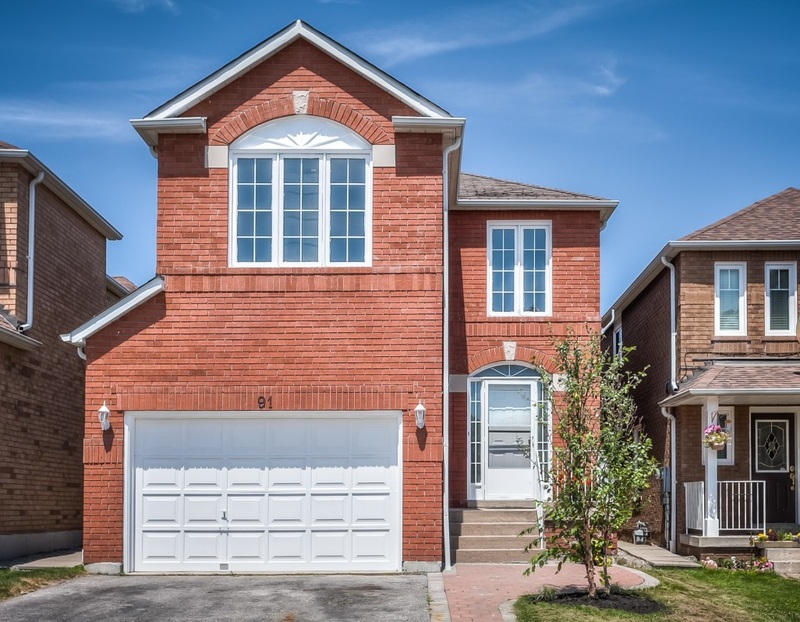 Bayview Village, Bayview Woods-Steeles, Don Valley Village, Hillcrest Village, and Henry Farm (C15) ranked second with a 31.8 per cent upswing in the first six months of the year, with the price of an average detached home climbing to $1,649,510, up from $1,252,000 during the same period in 2015. Lansing, Westgate, Willowdale West, and Newtonbrook West (C07) experienced an uptick of just over 29 per cent, with average price rising from $1,257,458 to $1,624,017. The Bathurst Manor, Armour Heights communities (C06) rose 26.9 per cent year-to-date, with average price climbing from $1,010,711 to $1,282,135. Rounding out the top five was Willowdale East (C14) with a 26.4 per cent increase in detached housing values ($1,596,358 to $2,018,060). Toronto Real Estate Board President Larry Cerqua announced that Greater Toronto Area REALTORS® reported 12,794 residential transactions through TREB’s MLS® System in June 2016. This result was 7.5 per cent higher than the 11,905 sales reported in June 2015. In line with the prevailing trend so far this year, the number of new listings was down by 3.8 per cent. “As I start my term as TREB President, we are certainly in an interesting environment for ownership housing. There is no doubt that demand is at a record level, but wouldbe home buyers continue to face an uphill battle against a constrained supply of listings, which has perpetuated strong price growth. Buyers and sellers alike continue to benefit from the value a REALTOR® brings to a transaction,” said Mr. Cerqua. “As the federal, provincial and local levels of government discuss housing policy in the coming months, issues affecting the lack of supply in the GTA should be of paramount importance. TREB will be undertaking, and making public, results of additional research in the second half of 2016, with the goal of proactively adding to the housing policy discussion,” added Mr. Cerqua. The MLS® Home Price Index Composite Benchmark was up by 16 per cent on a year- over-year basis. The average selling price for all home types combined was up by a slightly higher annual rate of 16.8 per cent to $746,546. The singledetached, semi- detached and townhouse market segments led the way in terms of price growth. “When TREB surveyed consumer intentions for 2016, we found that the majority of GTA households who were likely to purchase a home continued to be pointed towards some form of ground oriented housing. This is why we continue to see strong competition between buyers in many neighbourhoods where supply remains constrained,” said Jason Mercer, TREB’s Director of Market Analysis. Residential sales up 9.3% in May 2016 compared to a year earlier. New listings in Ontario numbered 40,432 units in May 2016, a decrease of 7.9% compared to last year. The provincial average price of homes in May 2016 rose 12.8% compared to a year earlier. There were just 1.9 months of inventory at the end of May 2016. Good news for buyers! Bank of Canada’s key overnight rate remains unchanged. Why is this important if you’re looking to get a mortgage? The overnight rate is the interest rate which financial institutions use when borrowing and lending overnight funds between each other, and the Bank of Canada sets a target level, known as the key interest rate, for that rate. Changes in the overnight rate influence other interest rates, including mortgage rates. While banks and other major lenders don’t have to follow the BoC’s change in rates, most will use the key interest rate as a guide and raise and/or lower their prime interest rate accordingly in order to remain competitive. Although there is an ongoing debate regarding when the Canadian housing market will cool, and whether or not we’re already seeing signs of cooling trends in particular markets across the country, the fact that the BoC remains unchanged means that the Bank sees inflation as being on target, low rates are still needed to promote economic growth, and they don’t want to take any kind of aggressive action to upset the balance. The next interest rate announcement and monetary policy report is scheduled for July 13th. Beautiful South Riverdale! Situated on a lovely tree-lined street, this home is a great find. 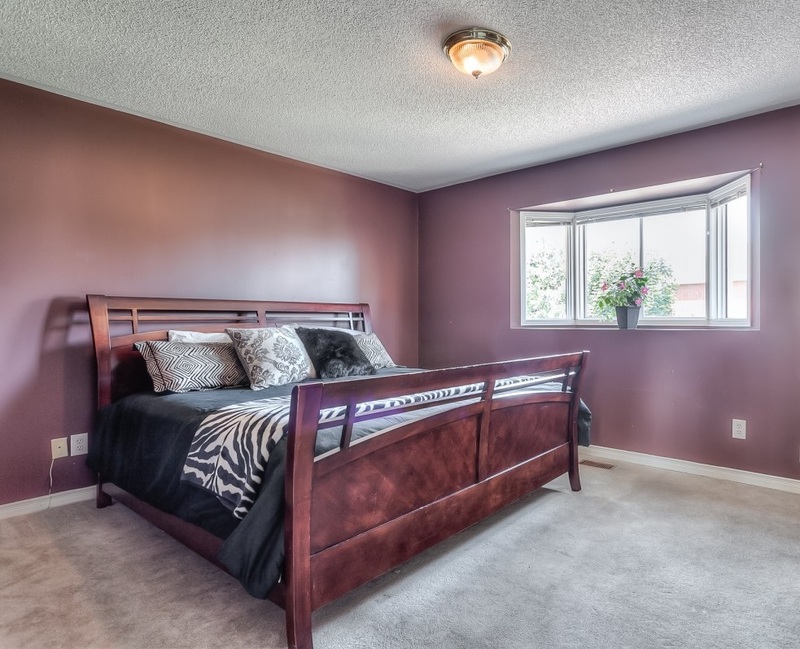 Featuring warm and inviting principal rooms, you’ll enjoy quiet living in this spacious and bright family home. With wonderful outside space, you can relax with a good book on your front porch, entertain friends on the two-tiered deck in your private backyard, or lounge on your rooftop deck under the Summer sun! This wonderful home is just steps away from TTC and a few minutes drive to Downtown Toronto & local rec centres, the Bayview Extension & DVP. Experience options galore to fill your evenings and weekends. Take a wander to Riverdale Library, local restaurants and shops, or travel south to soak in the Queen East atmosphere or stroll the Beach boardwalk. This is home! May 18, 2016 – Greater Toronto Area REALTORS® reported 6,010 sales through TREB’s MLS® System during the first 14 days of May 2016. This result represented a 7.1 per cent increase compared to 5,610 sales reported for May 2015. For low-rise home types, year-over-year sales growth was strongest in the regions surrounding the City of Toronto. The fact that annual rates of sales growth for singles, semis and towns were lower in the ‘416’ area code speaks to the lack of listings in many Toronto neighbourhoods. There are many willing buyers in the marketplace today – the issue is that a substantial number of these households have not been able to find a home that meets their needs. The average selling price for the first two weeks of May 2016 was $758,626, which represented a year-over-year increase of 16.1 per cent compared to an average price of $653,274 reported for the same time period in 2015. Double-digit annual rates of average price growth were experienced for all major home types. The annual pace of average price growth for condominium apartments, while lower than that recorded for low-rise home types, was above 10 per cent for both the City of Toronto and surrounding regions. Even with strong new unit completions over the last few years, this market segment has become tighter as well. On May 17, 2016, the Toronto Real Estate Board (TREB) will celebrate National Real Estate Day, a day for all Canadians to celebrate the benefits of home ownership. TREB President Mark McLean will kick off the celebration on Breakfast Television at 6:20 a.m. and discuss the meaning of National Real Estate Day. “With National Real Estate Day, we finally have a forum for all Canadians to discuss why they love their home and how home ownership has positively impacted their lives,” said McLean. In his appearance, McLean will talk about the positive effects owning a home can have on an individual and/or family. “Home ownership is a great investment. It’s a straightforward way to build a solid financial future, and it’s also the only investment you can live in,” said McLean. “On top of the financial benefits, research shows several other benefits of home ownership. For instance, homeowners have been found to have an increased sense of pride, security, and stability,” McLean noted. McLean also mentioned many more positive spin-offs associated with home ownership. The TREB President noted several other positive statistics from a 2015 Habitat for Humanity research project “Transforming Lives,” that owning a home can also improve the education outlook of your children, improve your family’s health through higher levels of physical activity and lower levels of psychological distress, and increase levels of civic involvement and charitable support in your community. McLean will also urge viewers to get involved in the national conversation on social media by sharing why they love their home and how home ownership has positively impacted their life by using the hashtag #iheartrealestate on Facebook and on Twitter @TREBhome. For all the details visit TREBhome.com/NRED. At noon on May 17, there will be a live Twitter Chat hosted by TREB that features the chance to win prizes for participating. Breakfast Television and TREB President will announce a contest that would enable one lucky winner to take home a $3,000 Rona Home and Garden gift card to help with their home ownership goals. 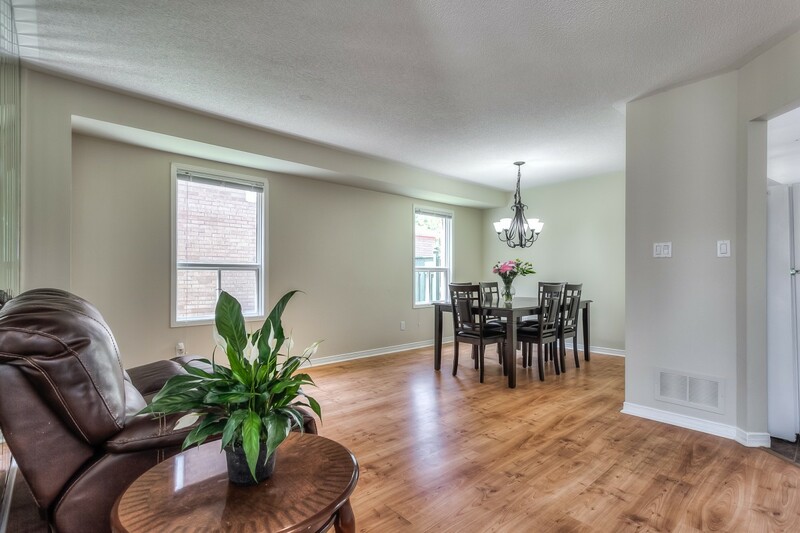 Saturday, July 18, 2:00 p.m. to 5:00 p.m.
Sunday, July 19, 2:00 p.m. to 5:00 p.m.
$439,900 – Don’t miss seeing this wonderful sunny and spacious three bedroom home! Featuring large principal rooms, a bright & relaxing family room with gas fireplace, and a private backyard with a huge deck, this home is perfect for quiet living and entertaining, alike. 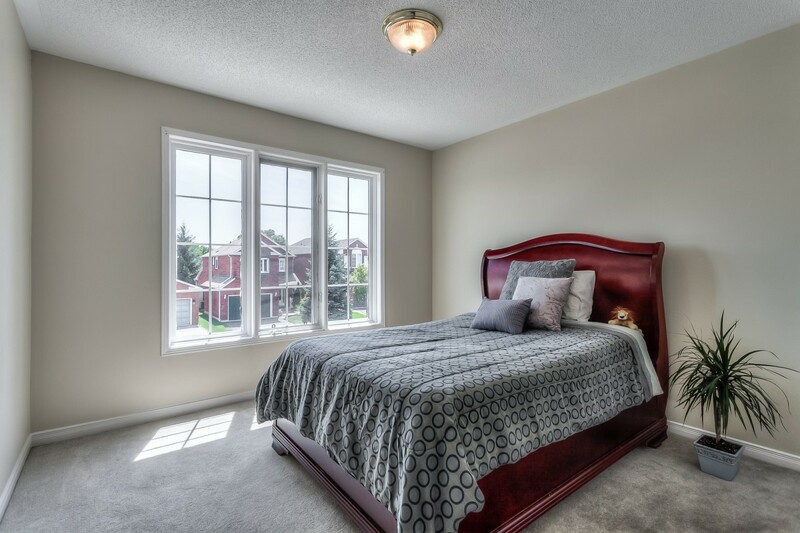 Located in a high demand family friendly neighbourhood in Central Ajax, 91 Booth is in close proximity to absolutely every amenity. This is the one you’ve been searching for! *Offers to be considered Tuesday, July 21st, at 7:00 p.m.
 As was widely expected, the Bank of Canada kept the overnight rate on hold at 75 basis points today. To justify its ‘stay the course’ position, the Bank cited that the downward pressure on inflation from sluggish economic growth in the first half of 2015 is likely to be offset by the upward pressure on prices stemming from the temporary effects of sector-specific factors and pass-through from the lower loonie.  According the Bank, the global outlook is unfolding broadly as expected, thanks to many central banks having eased monetary policies in recent months to counter persistent economic slack and low inflation. Meanwhile, after closing out 2014 on a strong note, the U.S. economy has stumbled in the Q1 thanks to a second consecutive harsh winter. However, the Bank expects strong U.S. growth in resume beginning in Q2.  At the same time, Canadian economic growth in Q1 is shaping up to be much weaker than the 1.5% annualized the Bank had expected back in January. However, the “Bank’s assessment is that the impact of the oil price shock on growth will be more front-loaded than predicted in January, but not larger.” This view is premised on the Bank’s continued optimism for a rotation toward an export and manufacturing led recovery. Overall, Canadian real GDP is expected to grow by 1.9% in 2015 and 2.5% in 2016 (January forecasts were 2.1% and 2.4% respectively).  Meanwhile, the Bank of Canada raised its inflation forecast reflecting slightly stronger readings seen already this year. However, the Bank expects core inflation to remain near to 2% over the forecast horizon as the upward pressure from past Canadian dollar depreciation offsets downward pressure from excess supply in the economy. Mortgage loan insurance helps protect lenders against mortgage default and enables consumers to purchase homes with a minimum down payment of 5%, with interest rates comparable to those with a 20% down payment. Mortgage loan insurance is typically required by lenders when homebuyers make a down payment of less than 20% of the purchase price. Effective June 1, 2015, the mortgage loan insurance premiums for homebuyers with less than a 10% down-payment will increase by approximately 15%. The increase applies to mortgage loan insurance premiums for residential housing of 1 and 2 units for homebuyers with less than a 10% down payment. For the average Canadian homebuyer requiring CMHC insured financing, the higher premium will result in an increase of approximately $5 to their monthly mortgage payment. The current mortgage loan insurance premiums will apply for applications submitted to CMHC prior to June 1, 2015, regardless of the closing date. This is not expected to have a material impact on housing markets. Selling and/or buying a home can be at once exhilarating and overwhelming. With twenty years of experience in the real estate industry I've learned what it takes to meet my clients where they’re at and guide them in the way they need. With a keen ability to ask the right questions, I quickly understand my clients’ needs and desires. Truly interested in their wellbeing and long term satisfaction, I patiently guide my buyer clients through the process of finding the right home, in the right area, at the right price, and consistently secure my seller clients the best possible sale outcome in the least amount of time possible. Working with me, it's all about you! I will strive to gain and build your trust, maintain your comfort throughout the process, and ultimately see that you are completely satisfied with the end result. I truly consider getting to be a part of my clients’ journey an honour and a privilege. I look forward to walking with you through yours! Alison was instrumental in helping us finding the ideal condo, despite our demanding criteria. Her knowledge, dedication, continuous patience, and good humour all make her the go-to person. We recommend her for her good work! Alison Gray is a pleasure to work with. Her attention to detail, dedication to getting exactly what her clients want, knowledge of the market place, and her drive to go that bit extra for her clients are why I hired her; and why I would again. …Alison’s commitment, care, and professionalism during the sale process were without compromise. Her patience, special approach, and dedication made our real estate experience an exceedingly positive one. Her willingness to go the extra mile made all the difference … Alison surpassed all of our greatest expectations, standards, and we will forever be grateful to her for all of that and more. Her knowledge, resourcefulness, and professionalism were incredible … her experience as a real estate agent provided us with remarkable resources. Most importantly, she earned our trust and operated with honesty and integrity. Alison is a credit to the realtor profession and to RE/MAX. We will highly recommend Alison to anyone seeking an excellent real estate agent in Toronto. Mike and I wanted to send you a note to tell you how much we appreciated all your efforts on our behalf regarding the house on Logan Avenue. You were so helpful finding the property for us and were there every step of the way. You were especially reassuring during the trying circumstances that unfolded before the closing date. We would certainly love to use your services again in the future and we would highly recommend you to any of our friends and colleagues. We have worked with Alison when buying our condo. As first time buyers we had many questions as well as many concerns and worries. Alison was great as she patiently allowed us to explore all the options and suggested ideas that we did not think about. I have never felt pushed or rushed to make a decision. Once we finally picked the condo we wanted to buy I was impressed by her professionalism and negotiation style. We always felt that we knew what was happening at each step of the process. We are now proud owners of our new condo and could not be happier with our decision. I want to thank Alison for leading us through the stressful process of first time home buying with such ease. We would definitely recommend Alison to our friends and family. I wanted to take the opportunity to express our gratitude for all your assistance throughout the sales process of my mother’s house. Your local real estate knowledge and attention to detail was invaluable from the home staging, offer, inspection, and closing processes. In an ever-changing local real estate environment we found that having you ‘on our side’ was a tremendous advantage to us and we are thankful to have worked with you. During a very stressful time for my mother, your professionalism in carrying out your responsibilities as our agent was beyond reproach. Your attention to all the details, responding to phone calls, and keeping us abreast of everything that was happening certainly took a lot of the pressure off us. I would not hesitate to recommend you to any of my friends or clients who might need a Realtor in the future. Alison Gray worked as the agent representing our two families when we purchased our home in 2009. The property we were searching for (and the one we found) was atypical in all respects as we were trying to accommodate two families in separate but attached dwellings, as well as one person with serious special needs. Alison understood our needs unquestioningly and respectfully and was creative in sourcing options for us. In two separate offers, several months apart from one another, she worked hard to represent us and finally negotiated the seller to a price that we were pleased with. Her honesty, in particular, stood out in that process as she could have easily coached us to pay the seller what he wanted, despite the fact that she and we knew the price was beyond unreasonable. Alison is extremely personable, confident, and capable. We have recommended her to several sets of friends, all of whom have been impressed by and pleased with her work. We will continue to recommend her to anyone who is looking for an agent. Thank you so much for your patience, help, understanding, and outstanding work in helping us find our first home. It is truly a blessing to have someone who is honest, straight forward, and trustworthy working on our behalf. Ms. Gray represented us in the sale of our condo. She assisted us in staging our condo properly and guided us along every step of the way to the sale of our property. We successfully sold our condo in Toronto during a very competitive period of the market quicker than the average time in the industry at the time. Ms. Gray pays attention to detail and works hard on understanding exactly what her clients needs are. She comes highly recommended from us.